If mental health and a stable, happy life are important to you, then you probably value these same aspects in the lives of other people. One interesting career choice you might want to investigate is working as a community mental health worker. The career itself is a broad term that spans many different educational pathways and jobs that all focus on improving a person's mental health, which ultimately improves their personal happiness and participation in society. The job classification of community mental health worker is such a varied one and it can be used to represent virtually any career that has a focus on the improvement of a person's mental health. The title may be used to mean many different things from one organisation to another. The career itself can be based in a hospital, client's home, agency workplace, private practice or a health clinic. With so many careers using the title of community mental health worker, the qualifications are similarly varied. Some careers may require a nursing degree while others require more theoretical knowledge. Experience is highly valued and any voluntary work you can complete prior to seeking a job can make an enormous difference in obtaining your dream career. Mental health nursing is a specialty area of nursing. Mental health nurses may work within a community health team for specific groups such as those who suffer from drug addiction or those who have been abused. Nurses may also work in teams that will respond to an emergency suicide crisis. With mental health comprising so many health issues ranging from personality disorders to mood conditions, there are numerous career pathways to choose from if you want to work as a mental health nurse. 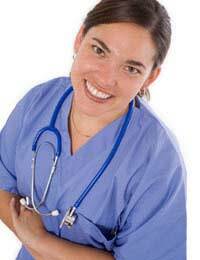 You would need to complete a degree in nursing along with relevant practical work. After, you would need to become registered to qualify as a working nurse in the United Kingdom (UK). With most mentally ill people residing in the community rather than in hospitals, your role as a mental health nurse would be an important one to improve the functioning and survival of people who are mentally ill. You can also work in teaching and research as a mental health nurse. An empathic personality and good communication skills are essential to this type of work, along with a sensitivity and respect for your clients' unique backgrounds and issues. There is a slight danger of violence in this role, which means that a firm, clear and confident manner is vital. Mental health and disability workers usually work in residential care homes, where residents with mental and physical disabilities require personal care and attention to help them meet their daily needs. You would usually train in a certificate or diploma program, although some workplaces have special paid training programs that last for several months. Your work would allow people with unique mental health needs to be properly fed and clothed as well as helping them to engage in social activities that take into account their limitations and abilities. Virtually all counsellors, regardless of the counselling approach, deal with mental health disorders to some extent. Whether a person is dealing with depression, anxiety, schizophrenia and various other disorders, a counsellor is a common contact-point, along with psychiatrists and psychologists. Counsellors may work in the public or private sector but most of them at some point in time will work with people who have mental health disorders. Some counsellors even specialise in specific mental health disorders and in this way, build up a unique clientele as they fine-tune their own expertise in the field. Mental health promotion is an interesting type of mental health work that is extremely community-oriented. A person who chooses a career in mental health promotion is typically aiming to reach larger numbers of people with health education and support. By responding to the needs of a specific community, a person who chooses a career in mental health promotion is contributing to the integrity and strength of that community, as well as the stability of each person's mental health. For instance, a mental health promotion worker might provide presentations in schools or they may design and implement public education campaigns. They may provide leaflets on suicide prevention to high-risk groups or they may target an area of mental health such as the stigma associated with mental health disorders. Social workers are trained to help people function in the community. After taking a degree course in social work, most will complete a practicum and then become registered to work in the UK. Many social workers will choose to specialise by working as part of a mental health team. They will assess a client's needs and may refer the client to other agencies who can provide the best support. A social worker may suggest special adaptations needed for the client to function in society or the worker may even recommend long-term care. If you think a community mental health career sounds challenging and inviting for your career goals, then consider speaking to professionals who are already working in the field. You might also want to volunteer at an agency within a subfield you find interesting or you could contact universities for more information. Every one of us deserves the stability and enjoyment that comes with good mental health. By choosing a career as a community mental health worker, you can provide a valuable contribution to the mental health of people in the community. I am a reformed drug addict, I have been clean for 30 years and believe it has taken this long to accept my past. I am looking for paid or volunteer work with addicts, can you help put me on the right track.